With spring almost here and summer right around the corner, it’s time to start making plans for your next great getaway. 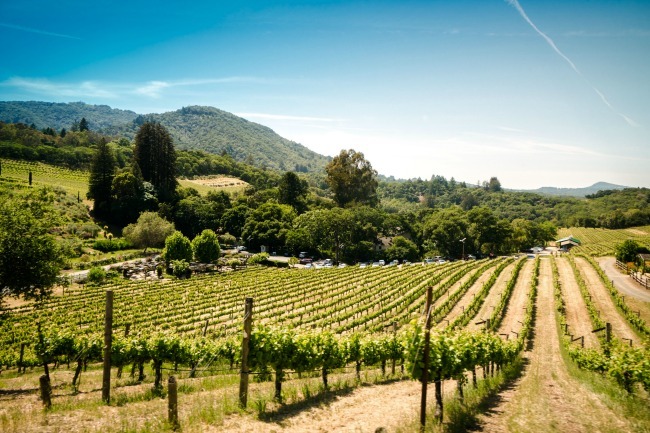 If you’re looking for the perfect destination for your family or a weekend with the girls, consider choosing California’s classic Sonoma County. This part of Northern California is the perfect destination for the weekend or a great addition to a trip to San Francisco. Here are five things you should add to your itinerary if Sonoma County is in your travel plans. Sonoma County’s prime location along the Pacific Ocean makes it a great spot to explore this amazing coast. You can find quiet coves, beautiful bays, and stunning beaches in this region. Check out Bodega Bay if you want to cross off whale watching on your bucket list. Depending on the time of the year, you could also try some surfing lessons and off-shore fishing. The Sonoma Coast State Park is another prime spot along this breathtaking coast. Another must-see sight everyone should experience at least once in their life is the awe-inspiring Redwoods Forest. Go to Armstrong Redwoods State Natural Reserve to see these giants of nature up close. You can drive along the trails or take a hike and be amazed at what you see. Or, you can get even more action by taking a zip-line tour through the forest. Another possibility is to rent a mountain bike and explore the area on two wheels. Sonoma County is also home to a thriving local foodie scene. There are tons of tasty restaurants that have embraced the farm-to-table movement and can give you an incredible dining experience. While you’re here, check out some of the top flavors in town, such as locally-raised duck, fresh caught Dungeness crab, sweet peaches from a nearby orchard, or rich olive oil produced in this region. Of course, no trip to this region would be complete without a stop at some of the best wineries in the world. Wine tasting is one of the top things to do in Sonoma County. This area is one of the top producers of wine in California and has attracted thousands of visitors because of it. You can create your own wine tour at your own pace by renting a car and following a tasting route map. Enjoy the different varieties of wine that this area offers. After you’ve tasted your last glass of wine and toured the region’s outdoor sites, take a break at a luxury spa. There are plenty of options to choose from that offer a variety of services to help you rejuvenate and relax. Here, you’ll find plenty of opportunities for pampering and even more ways to get back into that moment of serenity. Sonoma County is a great place for visitors to experience and enjoy. Whether you’re looking for adventure along the coast or a culinary delight, this region can help you find it. Make your trip memorable and amazing by choosing these activities for your itinerary. I was actually thinking of going there sometime this spring or fall. It's been years since I was there and there are so many great foodie places to go and things to do. Not to mention it's beautiful. Thanks for sharing this.